I’m no expert on philately. You could probably summarise what I know about postage stamps on the back of one of the Royal Mail’s finest. I do like architecture, which is the main reason why I bought this beautiful collection of five vintage UK postage stamps. 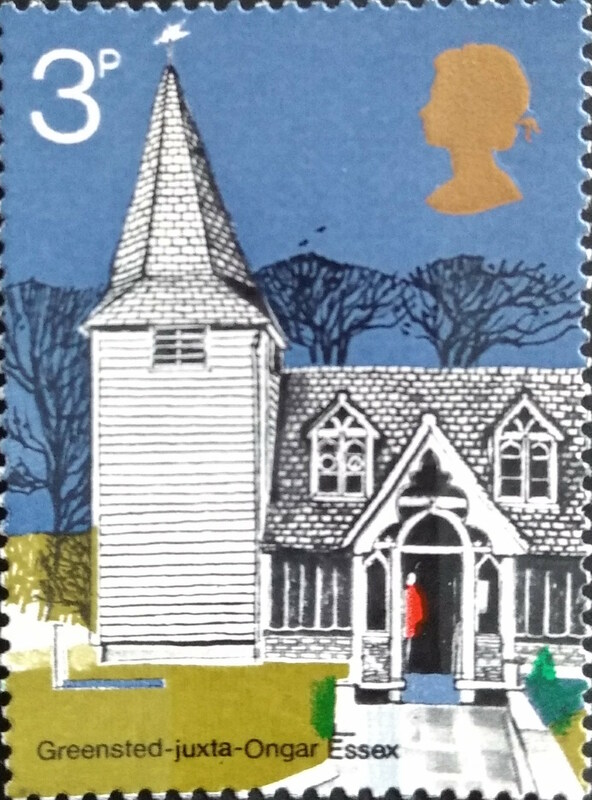 The unused stamps date from 1972 and feature five English village churches: St Andrews, Greensted-juxta-Ongar, Essex; All Saints, Earls Barton, Northamptonshire; St Andrew’s, Letheringsett, Norfolk; St Andrew, Helpringham, Lincolnshire; and St Mary the Virgin, Huish Episcopi, Somerset. 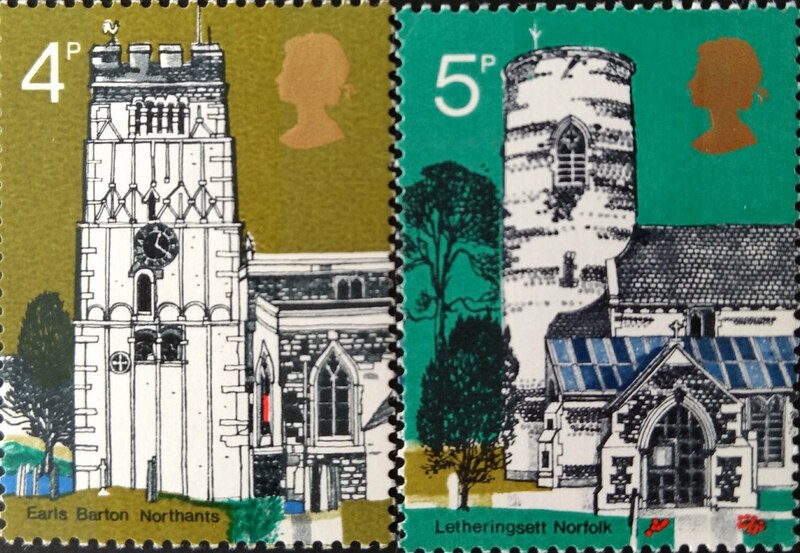 The stamps were designed by artist and illustrator Ronald Maddox, who has packed an amazing amount of architectural detail into these tiny images. The strong background colours help to emphasise the fine lines of the brick, stone and tile of these ancient chuches. St Andrews, Greensted is the oldest wooden church in the world and dates back almost 1,200 years. I bought the stamps from PostageCrafts on Etsy, where I also found some London landmarks stamps from 1980 and a set of British cottages from 1970. As readers of my blogs will know, I am not religious, but that doesn’t stop me from appreciating the value of church architecture or fine illustrations. To add to the seasonal fun I have just activated the ‘snow’ feature – courtesy of WordPress. © Susannah Straughan and The Taft Hotel, 2013–19. Unauthorized use and/or duplication of this material without express and written permission from this blog’s author and/or owner is strictly prohibited. Excerpts and links may be used, provided that full and clear credit is given to Susannah Straughan and The Taft Hotel with appropriate and specific direction to the original content.